Seriously Italian...figs & balsamic compote. Tender figs dried naturally in the intense heat of the sun, concentrating the natural flavors & intensifying the honey sweet flavor of the Italian figs. 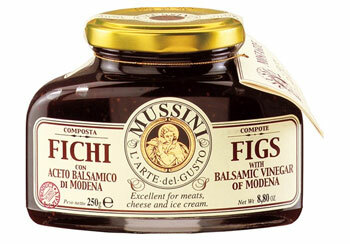 Try figs & balsamic compote warmed or chilled, spooned over ice cream, pound cake or panna cotta. Spoon figs & balsamic compote over plain yogurt for a simple breakfast treat. Serve with pork or lamb dishes, Enjoy!